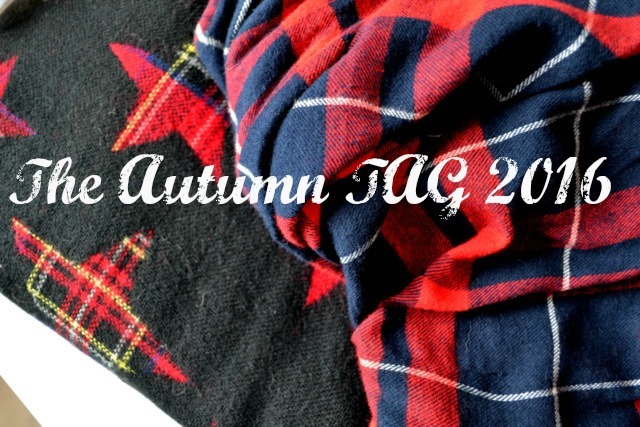 I haven't done a TAG post in a long time and since Autumn is my favourite season I thought it was a good one to do. The TAG was original on MakeupSavvy and I just thought they were a great set of question and something a bit different. .1What signifies the start of Autumn for you? My birthday is at the beginning of September so that always makes me feel like it is Autumn along with the weather getting colder. I do love being able to dig out my big chunky scarves which always help me to feel autumnal. 2. What is your favourite Fall scent? I don't really change up my scents for each season however I do tend to reach for stronger scents in the colder months. A favourite which i've been using a lot is Giorgio Armani Si since it has a deep, unique scent. In terms of candles anything that is apple or cinnamon scented are ones I love as well as something like Yankee Candle Fireside Treats. 3. What is your favourite Autumn colour? I love all Autumn colours especially the reds and warm brown shades. I have been really getting into deep green colours this time though and may have already picked up a few jumpers in that shade. 4. What is your favourite Fall drink? I don't really get into Fall specific drinks but I do love a good mocha especially during the colder months. I am also partial to a hot chocolate with lots of marshmallows. 5. What TV show, new or old, are you looking forward to this fall? I feel like TV gets really good this time of year which I love. Currently i'm watching Atlanta which is a new comedy by Donald Glover which I highly recommend. I'm also looking forward to the new season of The Affair, How To Get Away With Murder and whatever is new on Netflix. 6. What is your favourite Fall fashion trend? Checked shirts, chunky jumpers, boots and thick scarves are always my favourites and pretty much what I live in the minute it starts to get cold. I love this time of year since you can just put a nice scarf on and it can make an outfit look a lot more put together. 7. What is your favourite frugal Autumn activity? I don't think there's any Autumn activities that are take part in. Unlike in America there seems to be a lot less things to do! I do love going for coffee and cake which can be fairly inexpensive. Other than that a nice long dog walk followed by a lazy afternoon and lots of hot drinks is something I love to do. 8. What is your favourite makeup look come autumnal weather? I love created brown and red toned smokey eyes during the Autumn time paired with a berry toned blush. A palette i've been using a lot is the Zoeva Cocoa Blend palette which has some beautiful, autumnal shades. I also tend to reach for darker lips colours, anything from a red to a plum lip. Some favourites of mine are MAC Rebel and Rimmel Matte Lipstick in 107. So those are the questions. If you've done this tag or want to I would love to see your answers so feel free to send me a link to it. What are some of your favourite things about Autumn? Origins Ginzing Scrub Cleanser - Reviewed! Vichy Double Glow Peel Mask - Reviewed! Zoeva Cocoa Blend Palette - Reviewed! Milani Baked Blush - Reviewed! Maybeline Bricks Bronzer in Blondes - Reviewed!